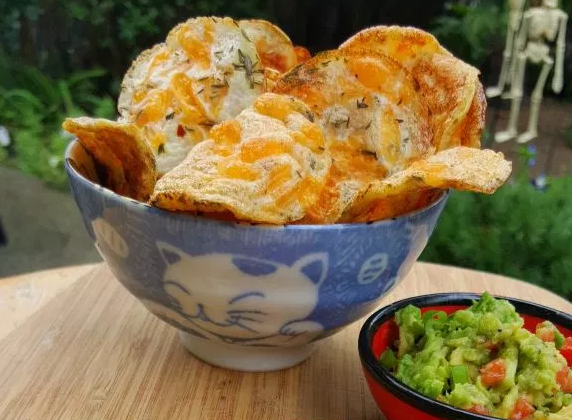 7 Low Carb Keto Chips Recipes (2 Ingredients)– Perfect for Cravings : We all know fat is more filling than carbs, but every now and then you get a hankering for something to snack on and you NEED some low carb snacks. Whether it’s salty, sweet or frosty, we all need a moment to enjoy something in between meals. Being on a diet shouldn’t mean all snacks are thrown out the window, being on a diet means learning what your body needs and how to best provide for it. If your body is craving something salty, there are ways of indulging without setting yourself back. There are ways of eating even brownies and cakes that won’t undo all your progress. An easy way of making sure you stay on track on your low carb diet is keeping a variety of low carb snacks around! One of our favorite ways of doing so is getting KetoKrate delivered to our house every month. You get new, low carb-friendly, full-sized snacks right to your door! Check them out! 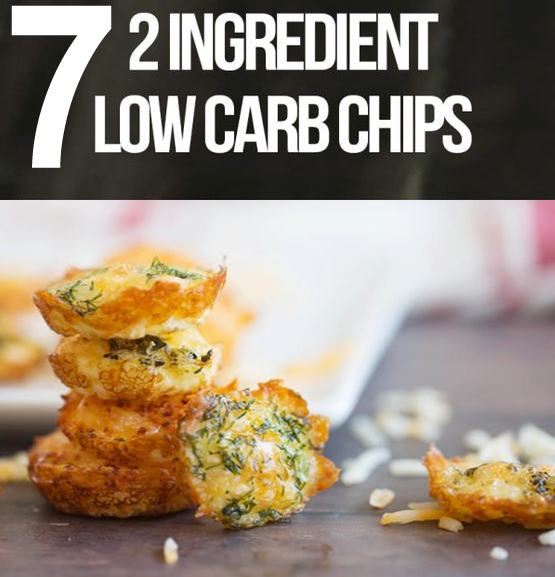 You only need 2 ingredients for these easy low carb chips! 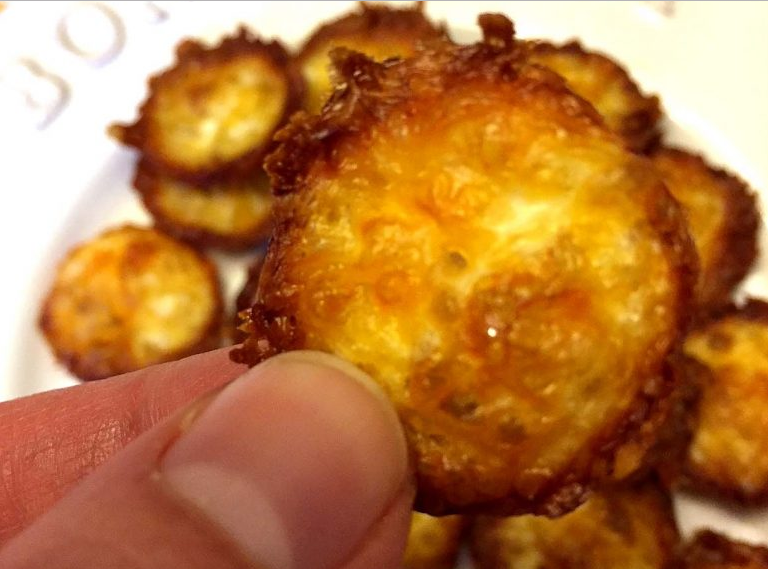 Crispy and cheesy, this flavorsome Keto snack is ready in minutes. Place pork scratchings into a food processor and blend. Roll small balls in your hand and press them down on a baking sheet. Be sure to leave plenty of space in between them as they flatten out. 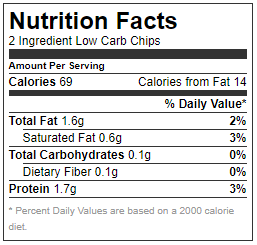 I made 20 (and calculated the nutrition info for 20), but as the chips are very filling, you could also make them a little smaller than shown in the pictures above and get around 30. Place under the grill and wait until they are browned. 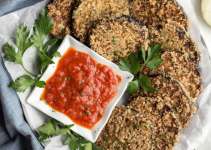 Optional Added Ingredients/Seasoning: ½ teaspoon garlic powder, ¼ teaspoon chili powder, ½ teaspoon Italian seasoning mix, ½ teaspoon taco seasoning, ½ teaspoon of cayenne pepper, or 2 teaspoon fresh herbs. Preheat oven to 400 degrees and grease a mini muffin pan very well with olive oil. Add egg whites to a bowl and add 1/4 tsp of salt and a pinch of pepper. You can also add optional herbs and seasoning if you like. Whisk well until combined. Spoon about 1/2 tablespoon of egg white mixture into each muffin compartment. The thinner you cover the bottom, the crispier the chips will be. Top each one with little piles of cheese. The cheese may stick to the edges a bit after baking, so make sure it is not touching the sides of the pan. Bake for 10-20 minutes or until the edges have turned golden brown. Use paper towels if needed to remove any excess grease. Remove chips from the tin with a small spatula and enjoy immediately or let cool and store in an airtight container. 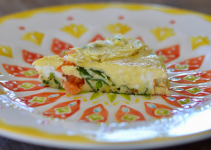 In a small mixing bowl, combine the egg whites, cheddar, and any herbs or spices you chose. 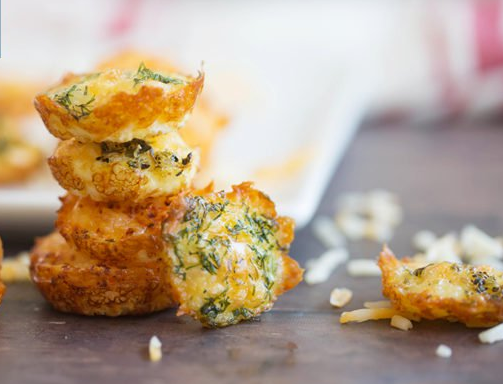 Grease a 24 slot mini muffin pan and drop very small portions of the cheese mixture into the muffin tins. Spread it around getting it as thin as you can for optimal crispiness. Bake for 10-20 minutes, or until browned to your liking. NotesFor a different varieties of chips use few different spices, like season-all spice, dried rosemary, thyme, garlic, onion, oregano, crushed red pepper and so on and so forth. 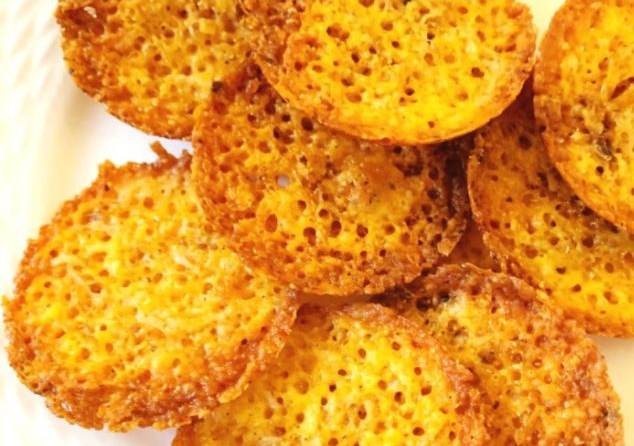 5 : Low Carb, Gluten-Free and So Crunchy Chips! 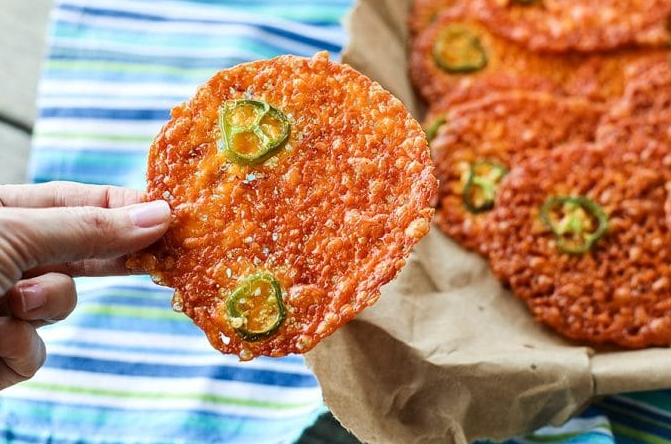 These 2 ingredient keto chips are amazing! They crunch so loudly! 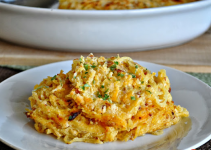 They are high protein, low carb, gluten-free and so delicious with epic Cheddar flavor! Spray a non-stick mini-muffin pan with non-stick cooking spray (or grease the bottoms of the muffin cups with butter). Whisk the egg whites in a bowl with a fork. Divide the egg whites between the 24 mini-muffin cups (the egg white should just barely cover the bottom of the cup). Sprinkle the shredded Cheddar cheese over the egg whites in a muffin cups. Put the mini-muffin tin in the oven and bake for 10 minutes, or until the edges of the chips are just starting to brown. Remove the mini-muffin tin from the oven and let the keto chips cool, then remove the chips from the muffin cups and serve. Preheat oven to 375F. Line a rimmed half sheet pan with a silpat or parchment paper.For small crackers, divide the cheese into 1 tablespoon mounds of cheese, leaving at least 3 inches between the mounds, adding 1 slice of jalapeño on top of each one. For medium crackers, divide the cheese into 2 tablespoon mounds of cheese, leaving at least 3 inches between the mounds, adding 1 to 2 slices of jalapeño on top of each one.For large crackers, divide the cheese into 3 tablespoon mounds of cheese, leaving at least 3 inches between the mounds, adding 1 to 2 slices of jalapeño on top of each one.Bake for 8 to 15 minutes, or until the cheese has melted, bubbled, and turned a uniform deep golden brown. The oil will be bubbling around the cheese and the cracker will be set, but pliable. Remove the pan from the oven and let rest for 3 minutes before transferring the crisps to a paper towel lined plate to finish cooling and crisping up. Store leftovers in an airtight container at room temperature. 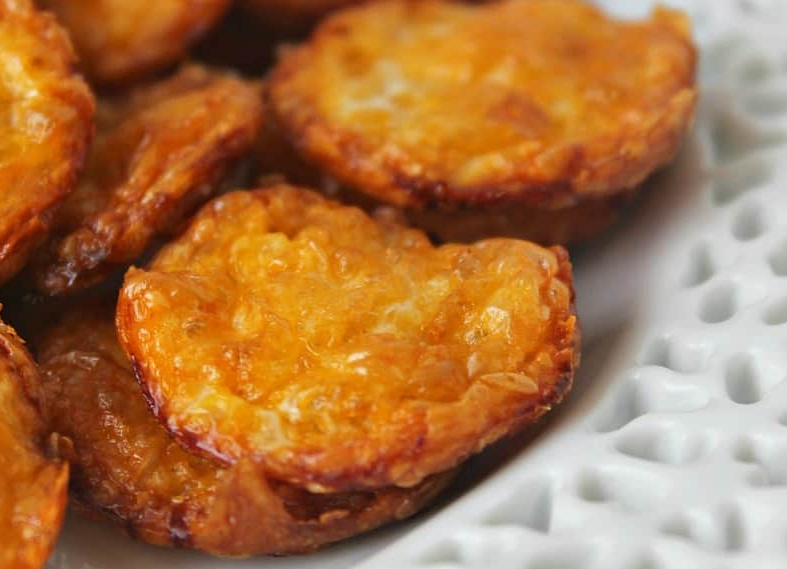 If they become stale, you can re-crisp them in a 375F oven for 3 minutes. 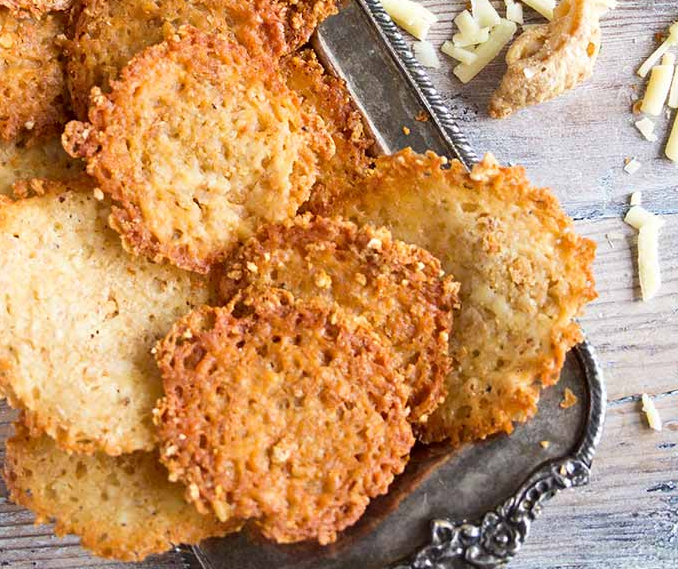 It’s not easy finding tasty low carb chips and crackers to have with your dip, but these easy and delicious Keto Cheese Chips will keep them coming back for more. Cut the cheese slices into quarters and layer on a lined cookie sheet. Ensure they have plenty of space as they will spread. Sprinkle the cheese slices with the paprika. Bake in the oven for 6 minutes until golden and crispy. Lay on a paper towel for 2 minutes to cool and soak up excess oil. Enjoy on their own or smothered with dip.